Here are the best coupon deals at Trader Joe’s for the month of August. Trader Joe’s accepts manufacturer coupons, but does not offer store coupons. There is no online coupon policy. Prices and products may vary per store. New to couponing? Go here. Here are the best coupon deals at Trader Joe’s for the month of July. 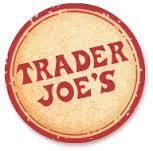 Trader Joe’s accepts manufacturer coupons, but does not offer store coupons. Prices and products may vary per store. Here are the best coupon deals at Trader Joe’s for the month of June. Trader Joe’s accepts manufacturer coupons, but does not offer store coupons. Prices and products may vary per store.